Coffee (left, male) and Baileys (right, female) are Husky/Shepherd x pups looking for homes. 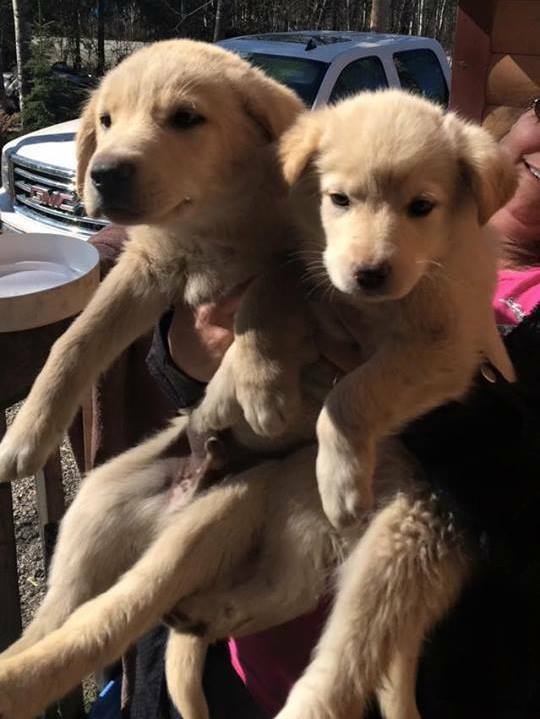 Coffee (left) and Baileys (right) are now two months old and ready to find their fur-ever families. Baileys is a female and Coffee is a male. They are Husky/Shepherd Crosses. If you were interested in adopting Coffee or Baileys – you can submit an adoption application.